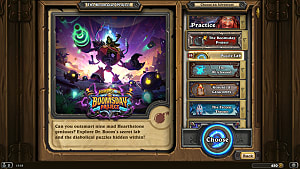 Recently, Hearthstone released a complete list of all the cards coming with the new adventure One Night in Karazhan. 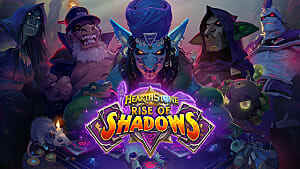 Among them, the one getting the most attention is not any meta-changing card, but instead what is typically agreed upon by the community as one of the worst cards in Hearthstone's two and a half year life-span. 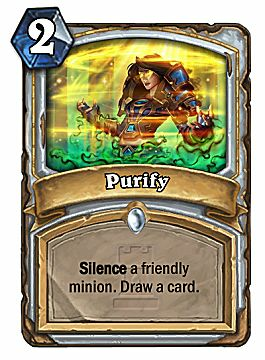 The card Purify is a Priest-exclusive card that silences a minion you control to allow you to draw a card. There are a lot of things wrong with this card, and the community was quick to pick up on this for several reasons. Being a common, it becomes a waste of a choice in draft. Let's go over these issues one at a time. 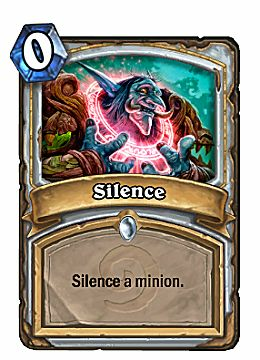 Priests already have a card that can silence minions. The card Silence, pictured right, offers the freedom to silence any minion for no cost. This adds the flexibility to silence either one of your own suffering a negative effect, or an enemy's enjoying a positive effect. Having no cost means it also doesn't negatively impact your turn. 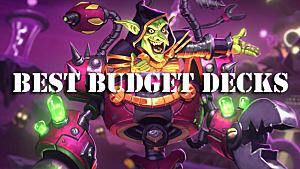 The cost is a big deal here, since there are already other cards that cost 2 mana, draw a card, and are also not played, such as the Novice Engineer. It takes little imagination to see why a card that has a negative effect would gain no traction, when cards with similar positive effects, but no downside, already aren't used. Next is Priest performance overall. Hearthstats does a good job of showing how well Priests perform in ranked play. As you can see from the charts, less than 1% of Priests are in top 3 ranks. 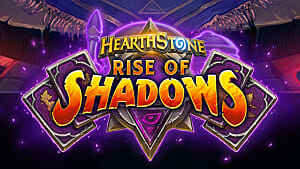 Many players were hoping that this expansion would be a boost for Priests to bring them back into the meta, and were reasonably upset to receive a gimmick card in the place of any form of triage to the class' performance. Last up is the effect this card has on the game's arena/draft mode. In Hearthstone's version of a draft, you are given the choice of three cards of equivalent rarity to pick from until you have picked thirty cards from ninety choices. Since this card is of a common quality, and, as the name implies, common cards come up more often; every time this card comes up, it's essentially a waste of a choice due to the incredibly specific nature of its usefulness. This devalues Priests even more in a mode where they are already struggling. 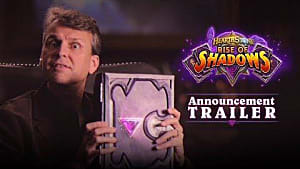 Several professional players have already released videos discussing this card, and have weighed in on their opinions of how to change it as well. 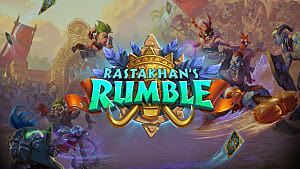 Blizzard even took the time to address the issue on the Hearthstone subreddit. Some people found this argument to be uninspiring, continuing to state how niche the card was considering Priest's need for growth to stay competitive. Purify was never intended to be game-changing, and is created to hopefully inspire new deck choices in the game. He acknowledges that Priest is in a bad spot, and regrets not having realized the communities desire for a change to Priest; he promises that now that they're aware, he wants to move forward with stronger cards in the future sets. Regarding arena, Purify will NOT appear in arena drafts. This final point is a big deal. This is the first time that any card has been excluded from the draft process. Given the community's uproar against this card, it seems that the company is eager to extend an olive branch and meet players halfway. He also talks about how going forward he hopes to address other problems with arena drafting, but is not ready to discuss any plans just yet. 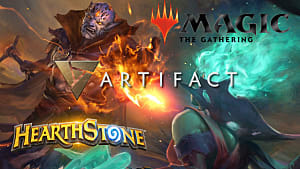 Hearthstone has a huge following, and has revitalized online collectible card games in a way Magic: The Gathering has been trying to do for years. 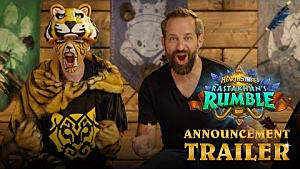 It's a good thing that the players are so passionate about the new releases, and even better that the company is so eager to address the concerns of their fan base so quickly. 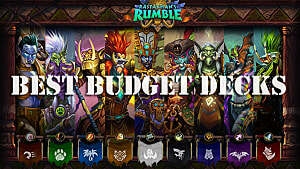 Both sides want to see the game succeed, and that's why they're both so passionate about these updates and what they can mean for the game's future. Hopefully this bump on the road will allow for the developers and community to understand each other a little better when it comes to future updates, and fulfilling the desires of the fans. Have any ideas of how you would fix Purify? Tell us below in the comments.